Cats are considered to be seniors around 11 to 13 years of age. During their senior years, we recommend a physical examination at least once yearly, vaccination (if health permits), and examination of a stool sample. Depending on your pet’s health status, semi-annual or annual blood and urine screening may be advised. Senior pets who develop specific problems may need to have blood and urine levels monitored as often as every few weeks or months. Signs of ageing in an older cat include muscle wasting, weight loss, decreased grooming, sleeping more, and decreased mobility. We recommend examinations every 6 to 12 months to help your senior pet stay happy and healthy. Together you and your veterinarian can monitor and plan the best senior care for your pet. Make an appointment with your veterinarian if you are noticing any changes in your pet. Veterinary visits every six months. 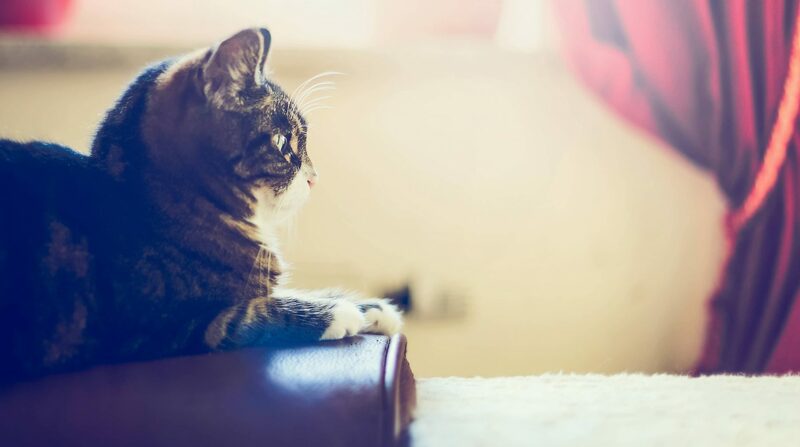 Since cats age seven years to every one human year, your senior cat needs medical examinations every six months to help maintain and catch any illness early. Common health issues encountered by senior cats include hyperthyroidism, kidney disease, arthritis, dental disease, urinary tract infections, and constipation. However, like humans every pet is unique, regular examinations and blood testing is the best way to catch health issues early. Your senior cat (or any pet at any age) might be displaying behavioural issues to try and get your attention that something is wrong. Any changes in your pets’ behaviour should be taken seriously and followed up with a visit to your veterinarian. Is your older cat confused? Cognitive dysfunction is very common for cats, as it is for ourselves. We have foods with supplements to help to slow down the brain ageing process, and that can keep cats more alert, help with their day/night cycle, etc. Why are physical exams important for my senior cat? During annual or semi-annual check-ups in older pets, weight gain or losses will be assessed, and you will be asked questions regarding your pet’s appetite, lameness, changes in drinking, urinating, bathroom habits, general attitude, and energy levels. Changes in any of these areas may indicate an early problem, and by performing diagnostic tests, we can improve the quality and length of life for your senior pet.